Manuel Alcozer is an experienced trial lawyer and is board-certified in Social Security Disability Advocacy by the National Board of Social Security Disability Advocacy. He is also a member of the National Organization of Social Security Claimants Representatives and the State Bar College. Manuel prides himself on helping Social Security disability and personal injury clients, by helping on a contingency-fee basis, which means you do not pay any legal fees upfront. 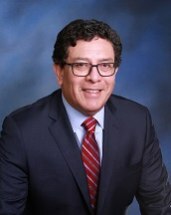 A graduate of Southern Methodist University Dedman School of Law, Manuel was admitted to the Texas State bar in 1992. A former health care provider, Manuel worked at Metroplex Hospital and Scott & White Memorial Hospital as a respiratory therapist from 1983-1989. During this period, he also earned a Bachelor of Business Administration degree, majoring in finance and economics from the University of Mary Hardin Baylor in 1988. Manuel focuses his practice on Social Security disabilities, personal injury, consumer law, commercial litigation, and family law. He is a member of the Bell County Bar Association. Hablamos espanol.